Many of us are "knowledge workers." We do not physically create a product. We work in areas that are important to our enterprise, but do not directly serve customers. We work in finance, marketing, technology, or similar functions. This article is a simple guide to understand the data stored in the P6 Original Duration fields that appear in all summary bands such as Project, WBS, Resources and Activity Codes. When create a schedule, we can based on Resource Productivity to estimate duration. We have an Foundation which take 100 m3 concrete. Now we will do it in Primavera. 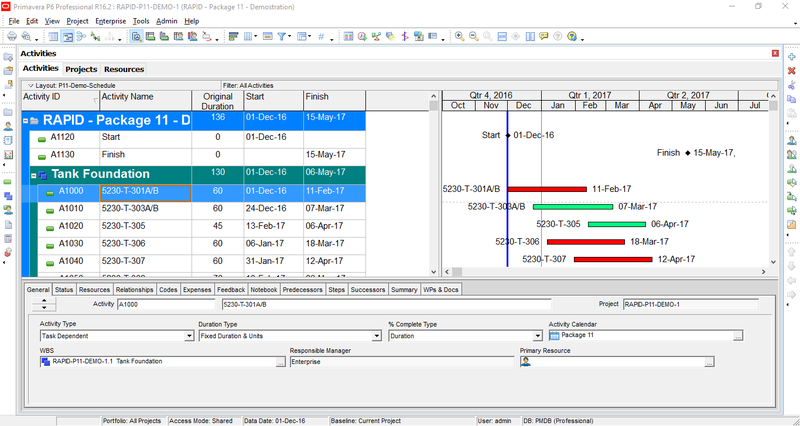 Of the many different types of date fields in Oracle® P6™, the most controversial and misleading dates are, "Planned Start" and "Planned Finish" dates of the activities. Agile is an effective software development framework. Teams using Agile deliver value in short, iterative, increments. The starting point of the delivery cycle is the Product Backlog. In Primavera P6, we can quickly identify behind schedule and over budget activity by using graphical indicator in User Defined Field. "Enhance opportunities and reduce threats by aligning sub-portfolios, programs and projects to meet organizational strategic goals"
This article illustrates the high-level components of Portfolio Risk & Opportunity Management. The risk is both threats and opportunity. The main goal is to minimize threats and maximize the opportunities for an organization.